Goldstone was out in theatres in Australia two years before it reached the US and, although I didn’t know it at the time, two years is far too long to wait on something so wonderful. This film is a followup to director Ivan Sen’s other Detective Jay Swan story, Mystery Road, which was both a movie and then a six-episode mini-series. The character lives on here, but if you can’t get your hands on the original material, this plot is independently strong, it doesn’t require any foreknowledge to enjoy its quality. Goldstone has more than enough quality to spare, in all areas, and if you, like me, didn’t see this project coming, you’ll be blown away by its incredible, voracious nature. Josh Waters is a young, local cop stationed in Goldstone, a fly speck of a town in the bush of Australia where nothing important happens except the mining, and no trouble ever pops up except from the miners. The town has very few people and only two real businesses; the mining company, which brings the men in to work, and the brothel bar, which keeps the men happy. Josh is really only around to make sure that everything runs smoothly, and the mayor makes sure to grease his wheels with offers of as much money as will keep him silent about the more clandestine actions of the corporation that she’s tied to in more ways than one. Josh is fairly clean but also doesn’t want to cause trouble, so he let’s the little things float past, without spending too much time worrying whether of not they are perfectly moral. But the dirt that’s been swirling around the whole operation is about to clog the works in the form of a missing persons detective, Jay Swan, who’s in town searching for a lost girl. He stumbles upon a trafficking ring that’s been going on so long that no one even thinks twice about its legality, and that’s not even the worst secret in Goldstone. The mayor and the mining manager are into something twisted, requiring them pay off the Aboriginal leaders of the area in order to keep the ball rolling. Jay has nothing to lose, he’s burned all of his bridges and is beyond caring, but Josh has a career to think of, and starting an investigation to take down all the local big shots might be beyond his scope. Regardless, trouble is coming, and these two men had best be prepared, or they will find themselves on the wrong end of a gun sight. Goldstone may only seem like Wind River 2: Bandits in the Bush, but that’s an oversimplification; Goldstone was released in Australia in 2016, a year before Wind River was released here, it just took the former a couple years to reach the States. But be glad that it eventually did, because it’s not often that we are given such an extraordinary gift, and it’s not every day that a story from this genre touches the level of quality that this film was able to reach. Neo-Western need not apply only to American pictures, and there’s no better place to set one than in the bush, an almost unpopulated desert landscape where rules are enforced by the very few and followed by even fewer. At least fictionally, I’m not calling Australia a lawless country, but its history and its remote locations allow for these plots to be believable, much like the mountainous, western United States, past or present. But beyond the inherent Aussie grittiness of this film, which can only take it so far, the execution and the delivery matched the potential of the project, reaching as close to the ceiling as it could go, and almost breaking through to the other side, where storied movies live. Goldstone is a right choice wherever you look, from the characters to the acting, from the cinematography to the action placed therein. As I said before, you don’t need to see the other Jay Swan stories, this one holds its own extremely well, the plot sizzling with anticipation and with danger, with no backstory needed. Pedersen and Russell are perfect in their roles, as are Weaver and Wenham supporting, each lending the other credit and helping to create a fascinating mosaic on the bedrock of this complicated land. Aboriginal independence, innocence lost, good vs evil, activity vs apathy; there isn’t a theme too deep for this film, and it is never afraid to ask audiences the hard questions. The music, the still shots, the landscape, the mood; everything works and nothing is left to chance, each detail is orchestrated just so. Goldstone may end up being one of the best of the year, and we never saw it coming, which makes it all the sweeter. Video – With an aspect ratio of 2.35:1 (16×9 Widescreen) and shot using a Red Epic camera, the video quality of the Blu-ray is exceptional, with a real eye toward visuals and the way in which they can be brought to the screen with the upmost clarity. The director relied often on shots from above, as if from a drone or satellite, and those moments were always exquisite, never overused, and aided the feeling of open country all around, of being exposed to what was coming without anywhere to hide. Audio – The disc was done in English DTS-HD Master Audio, with an option of English 5.1 Dolby Digital. There are no language or subtitle options. The sound quality was near as excellent as the video, with a wonderful soundtrack that carried the action. Voices were a little muffled at times, and if you aren’t used to the accents you may be thrown for a bit, but once audiences settle in I think they will learn to appreciate the conversational style, and the way the director refused to make the sound amped up in a way it would not naturally have been. 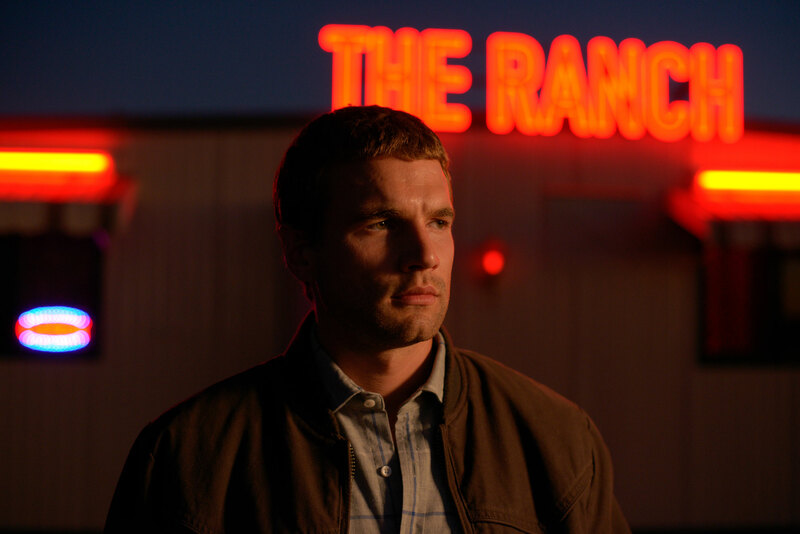 Extras – There are many special features on the Blu-ray: Detective Jay Swan, Alex Russell as “Josh Waters”, Jacki Weaver as “The Mayor”, Director Ivan Sen, The Corruption of Goldstone, The Indigenous People of Australia, and two different trailers for the film. Highly Recommended. To Americans, Australian movies have a genre all their own, defined by their unapologetic style and their true grit. But Goldstone is more than just a good movie from Down Under, it’s a great version of the neo-Western we’ve grown to love and an original storytelling that flows with power and with truth. If you like Westerns, here you go. If you like high drama, you’re welcome. And if you like the barren landscape of the desert and the emotion that flows through it, you’re in luck. With so many reasons to love this film, its ability to weave all of its parts into something coherent and strong is perhaps its most impressive attribute, and that’s saying something for a film that is filled to the brim with quality. The video is amazing, the audio is solid, there are many extras, so the technical aspects won’t let you down either, the entire project snapping together seamlessly to create something special. Oscar season is just ramping up, so I’m sure there are a ton of marvelous features on their way to theatres near you, but I have a feeling that Goldstone will hold its head above the oncoming tide; it stands that tall.